ActionCraft v0.1.1 Alpha Bringing more action to Minecraft! DISCLAIMER!!!!!! Before I say anything else, I AM NEW TO MODDING. I HAVE NEVER TRIED MODDING BEFORE. THIS IS MY FIRST MOD. PLEASE DON'T JUDGE THE MOD. WorldGen, so Dark Iron Ore will actually spawn in the world. ActionCraft will bring many new items and blocks to Minecraft. 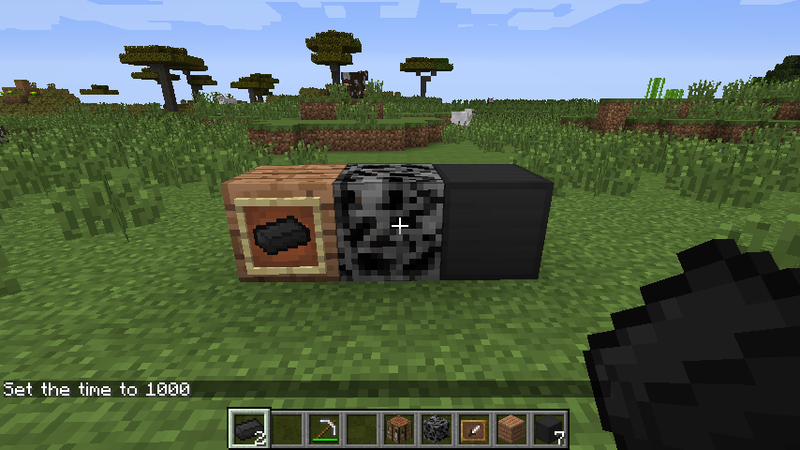 Currently Implemented: Dark Iron ( Ingot, Ore, Block of Dark Iron) PLEASE LOOK AT ATTACHED PHOTO FOR PICTURE OF THESE ITEMS. Dark Iron tools, once implemented, will have the same properties as regular Iron but contains a dark, mysterious power that makes the tools more durable! Thanks for looking at this post and I'll make sure to update you guys as soon as I update this mod!